Limit 1 per person. Valid on 1 of the following 4 specialty classes: kettlebells (3 times a week for 6 weeks), cardio (twice a week for 6 weeks), Tabata (twice a week for 8 weeks) or TRX (twice a week for 4 weeks). Must call to register. Promotional value expires 180 days after purchase. Advertising solicitation prohibited. 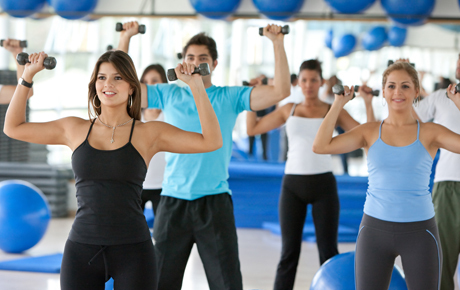 Cardio class twice a week for six weeks ($129 value). Kettlebell class three times a week for six weeks ($129 value). Tabata class twice a week for eight weeks ($99 value). TRX class twice a week for four weeks ($79 value). All of these classes offer a fun and energetic atmosphere with proven results. Kettlebell classes include workouts to develop strength, cardio endurance, core stability and flexibility. Cardio and Tabata classes involve maximum-intensity exercises designed to burn calories. Cardio classes include plyometric drills, while Tabata has a mix of cardio and weight-training exercises. Hang from the durable TRX ropes in the TRX class to push, pull, lift and lower your body, which can help you achieve a rock-solid core.